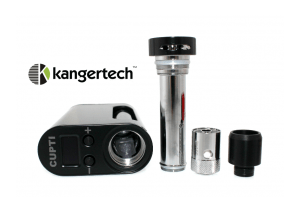 At first glance, I didn’t think I was going to like the Kanger CUPTI. It reminded of the Kanger NEBOX and the multiple leaking issues and difficult battery exchanges I experienced in the past. I haven’t had much success with the Bottom-Feed, Cubis-style tanks and wasn’t looking forward to this uphill battle I’ve lost many times before. But surprisingly enough, it did catch my attention with the small OLED screen on the top of the device and that it’s powered by a replaceable high-amp 18650 battery (not included) instead of an internally mounted battery. 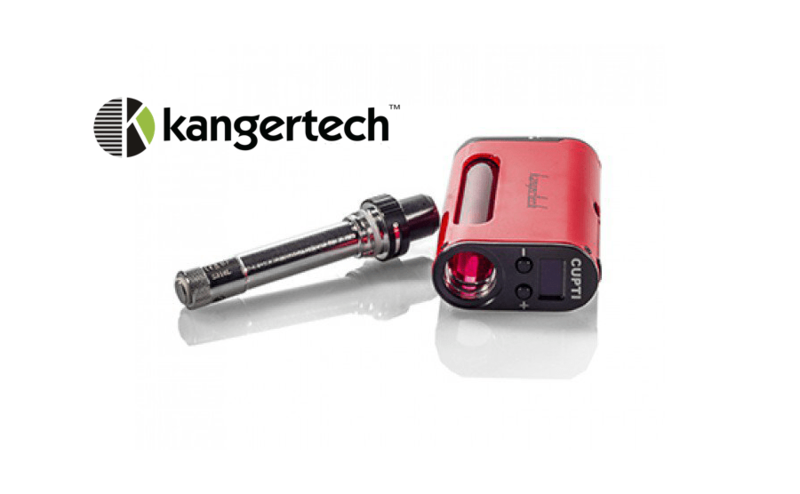 Kanger recommends using at least a 20amp battery so I use a Sony VTC4 at 30amps which works great! 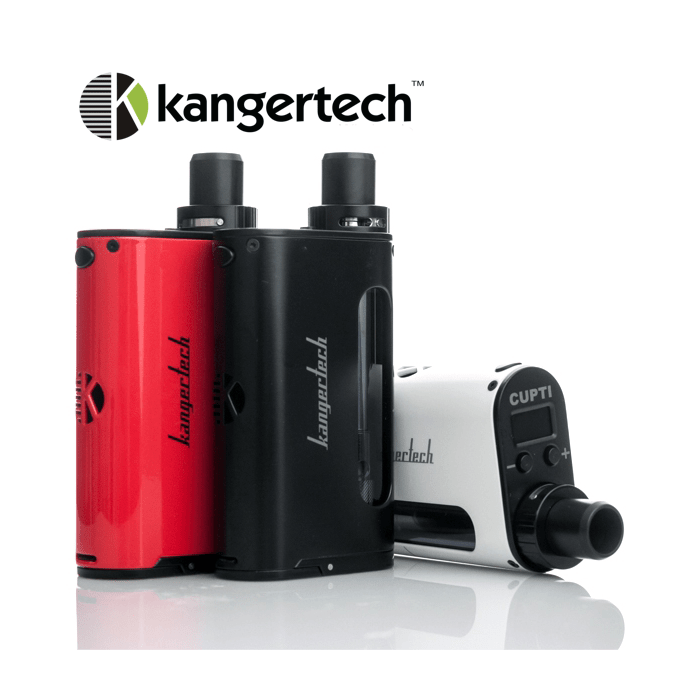 The Kanger CUPTI is available in a total of five colors and luckily I received the Black. It’s very sleek and the rounded design fits easily in my hand, has a solid density to it and it doesn’t feel cheaply made. Even my girlfriend asked if she could have it once I’m done doing this review! That’s a compliment in itself! 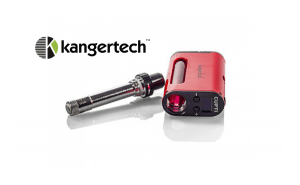 The Kanger CUPTI 75W Temperature Control All-In-One Kit (what’s with these crazy long names lately?) 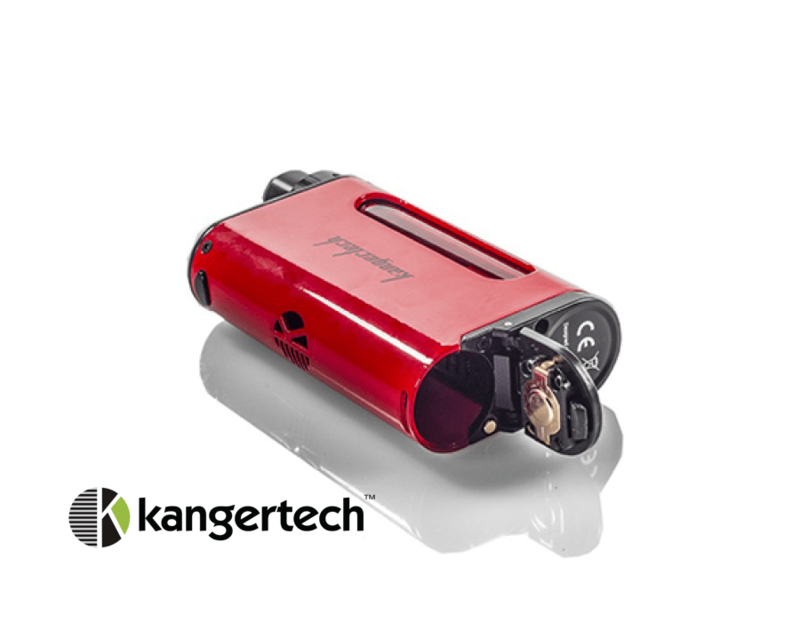 is a compact device aimed at both Direct Lung and Mouth-To-Lung vapers. It’s extremely easy to operate and offers enough features to make it not too bland or boring. 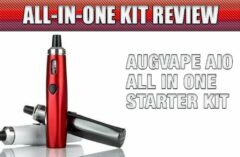 It has a built in and non-removable CLOCC Sub-Ohm Tank with an easy top-fill system and 5ml of juice capacity. Other All-In-One devices make removing the glass or tank section possible. 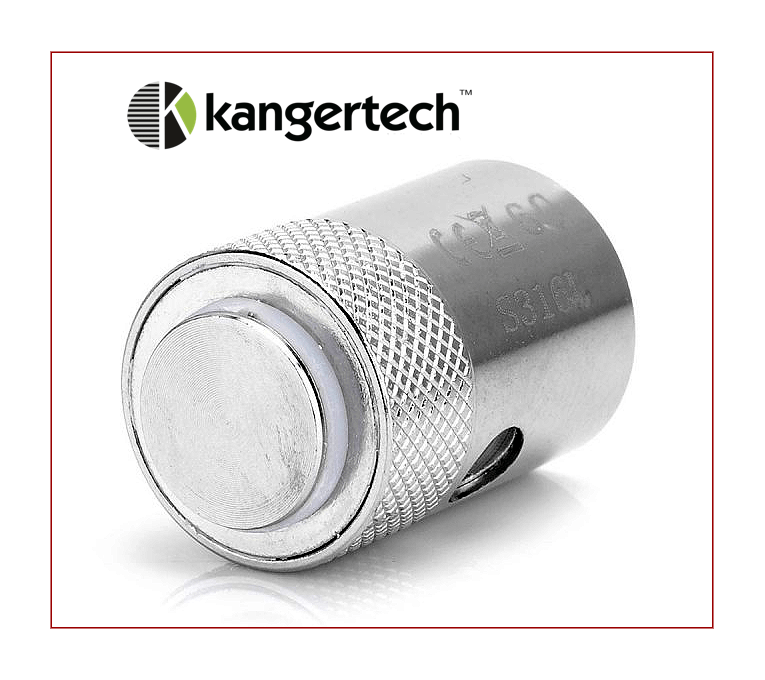 I would’ve liked to see Kanger implement that feature to properly clean the tank or replace it if necessary. 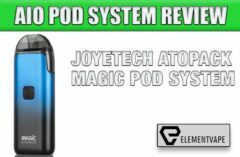 There’s a huge eJuice viewing window that runs down the length of the device and makes checking your eJuice level quick and effortless. The eJuice filling process can get messy because you have to remove the top cap, tube and coil section. So unless you have somewhere clean to set it, you will have a little surprise puddle accumulate. There’s a max fill line imprinted on the outside so you only fill your eJuice to that line. Filling it over will result in some flooding from the airflow holes and a horrible gurgling when vaping. I do like that you can see the specifications of the coil through the window just in case you forget the recommended wattage. 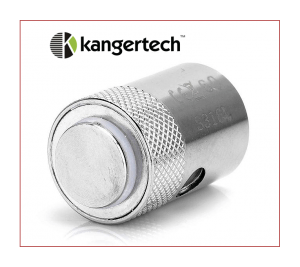 The Kanger CUPTI is made out of zinc and aluminum alloy and is actually heavier than I anticipated but is still pocket friendly! Pop in a fresh battery from the battery door on the bottom of the device. The door has some nice cutouts so it’s easy to grip and slide the door which hinges open. Push it closed and it securely locks. I haven’t had any issues with the door opening out of nowhere or any battery connection issues. My device did have some bubbling paint around some of the edges and almost looked like those air bubbles you get when applying a decal; something to keep an eye out for when buying one. making adjustments while vaping. I’m so used to seeing these massive intricate screens that I really like the compact size they decided to go with! When vaping, you’re normally holding the device and blocking the screen anyway so having it on top is a great way to use that wasted space wisely. The up and down buttons are spaced enough apart for someone with bigger hands, easy to navigate and click through the menu. The device is fired from a small 8mm x 5mm oval button. I wish the button was bigger and placed lower on the device. My finger wants to instinctively go lower and with such a small button makes hitting it somewhat awkward with bigger hands. Unfortunately, there is button rattle on both the fire button and up/down buttons; a huge ‘con’ if you ask me! 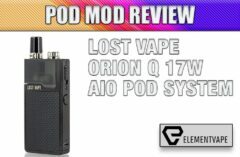 It can fire from 7-75 watts and has a 0.15Ω resistance range. All the Temperature Control functions we’re used to seeing; Nickel, Titanium, Stainless Steel and NiChrome and fires from 200°-600°F. 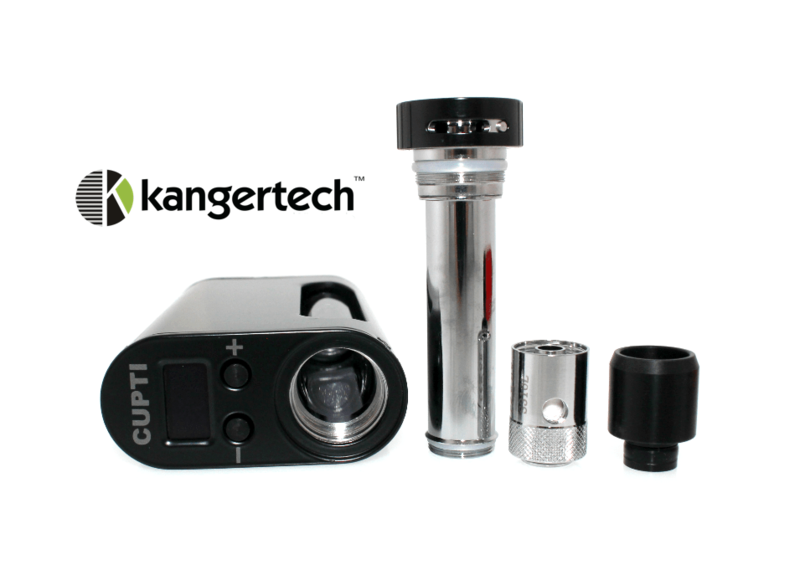 The Kanger CUPTI Kit comes with two different 510-compatible drip tips. The DL (Direct Lung) wide drip tip is 10.5mm ID and is abnormally large from a device of this size! Personally, it’s the perfect fit for me and does a great job not getting overly hot. The 6mm MTL drip tip is a little guy that reminds me of the same diameter as a straw. Normally I like big clouds, big flavor and big tanks! But I do like this smaller drip tip option. With longer than 4-5 second pulls, it will heat up on you but is not unmanageable. Both drip tips fit nicely into the top cap without any wiggle room or excessive movement. The adjustable airflow slots are said to be 10mm but only have a true 8.7mm x 2mm of actual airflow according to my measurements. I think because of the stoppers that prevent the ring from spinning around 360 degrees and stop in the open and closed positions. I know it’s not a big deal but something a potential customer should be aware of. The airflow ring does have some knurling and easily spins but has enough restriction that it won’t move from where you set it. The device provides plenty of airy pulls and I’m able to get good vapor production at higher wattages. But even closing the airflow almost completely, the MTL vape experience is lackluster. happening to you. After filling with eJuice, I went to take a pull without firing and knew there was some eJuice building up. I ordinarily blow out and it clears the tube, coil or wherever the block is happening. I did just that and it seemed fine. I started with a low wattage and was getting no vapor. Bumped it up and went to take a pull and I got a mouthful of burning hot eJuice in my mouth! Normally I can handle heat but this was excessive and important enough that I had to mention it. Just be careful and ensure the entire airway is clear before making the mistake I did and firing the device if it feels clogged! The preinstalled 0.5Ω SS316L coil was my coil of choice! Besides some simple flooding I experienced early on (user error most likely), it was great! The coil produces great flavor and above average vapor production. 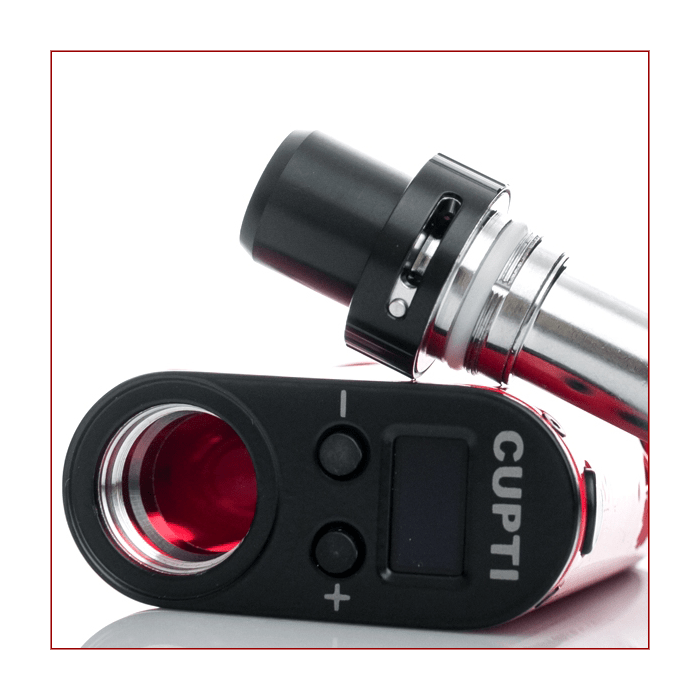 My ideal vape was right at 40W. At the limit of 50W, I did get some burnt cotton flavor. I only used the coil in Power Mode but it’s also supported in TC Mode. I love having the option of bouncing between the different settings especially on a smaller AIO device! The 1.5Ω NiChrome coil was lousy. Rated up to 26W, I could only get a decent MTL pull. I would say the DL pull off this coil is better than the MTL! The 0.5Ω coil blows this one out of the water, or vapor if that makes more sense! NiChrome isn’t a new type of resistance wire and definitely not new in the vaping world! Kanthal is more commonly used because it can handle more heat and a lot of people find it easier to wrap with. Some say they can taste Iron which is part of the chemical composition of Kanthal. NiChrome heats up faster, cools down quicker and does not contain Iron. It comes down to personal preference. I use Kanthal for all of the coils I wrap but NiChrome is also a great coil wire. NiChrome is NOT a Temperature Control wire! It’s basically just another Power Mode just labeled differently. I just wish the 1.5Ω coil was better than it was. 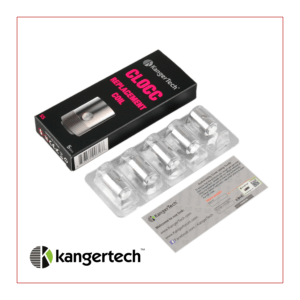 The Kanger CUPTI also supports the CLRBA (Child Lock Rebuildable Atomizer) that has not yet been released. It’s made by Kanger and there are pictures online of what the finished product looks like if you’re interested. and have gurgling and spitting right away. It’s pretty consistent and could be a deal breaker for some. I like to vape; not drink burning hot eJuice! The fire delay is not substantial but is noticeable. I’m used to firing a DNA-powered device and the delay here is definitely bothersome. 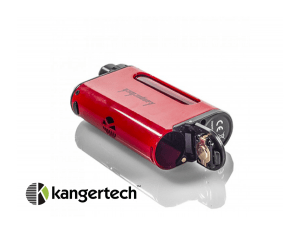 Even though Kanger supplied battery venting from their logo cutout on the side of the device, you can see the color of your battery right through it. This is subjective but had to be mentioned since I was using a yellow battery and looked horrible! Previous : Newsletter Giveaway Exclusive!